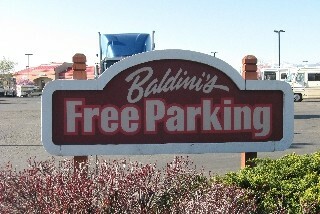 Overnight RV Parking is OK. RV parking is on the west side of the casino in the furthest parking area from the casino. We stopped by to check out the parking area. Only a couple RV's there, but they were pretty junky. There was an outdoor swap meet going on in the parking area, so they may have asked RV's to clear out for this event. May be okay for a night, but not great. We were passing through, looking for a place to park for the night. 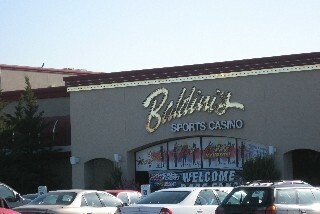 We found this casino in what did not looked like the best part of town. Yes, there is ample parking, but there were quite a few motor home wrecks there. When we drove in, the doors of some of the wrecks opened up and shirtless people were watching our every move! We were frankly quite scared and decided to move on. Ended up at the Atlantis casino, which was just fantastic. I like this casino, it doesn't gouge you. 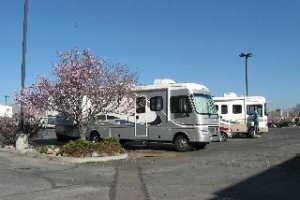 I saw potential in the free RV parking however when I cruised the RV parking lot my "safety meter" started sounding. If there are other rigs around I'll park almost anywhere, but these rigs were of the questionable variety (hey, I'm not a snob, trust me) and they looked like they'd been sitting there for awhile. I just didn't feel like this was the kind of place that I'd want to park my rig and leave it for a few hours. Too bad, I like the gaming here. The food is cheap and plentiful, reminds me of the old days in Reno. I ended up parking elsewhere and returning in my toad, the car lot seemed fine.